LC Singlemode Fiber adapter panel with 12 ports is very mated with 1U horizontal cable manager, available to install as required, meanwhile, blank patch panel reserve some space for future use. The following solution shows how to form a link. 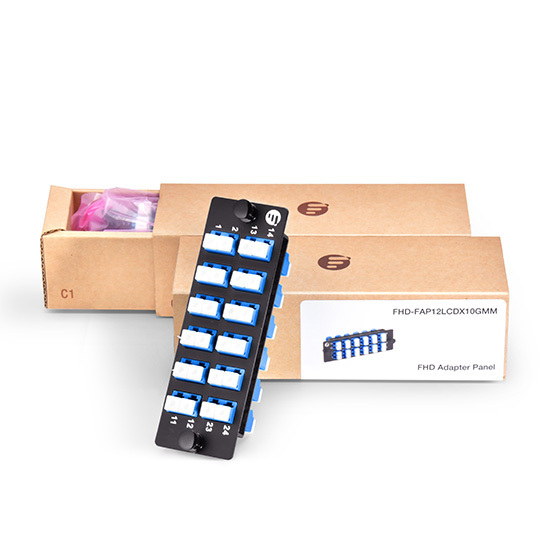 My account manager is professional and patient, she recommended me to order the adapter panels with fiber enclosure 34684, and now they work well. I have this running in a wall mount enclosure. It works well and reliably. 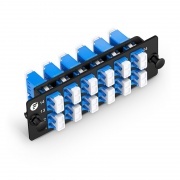 With these LC adapter panels, I easily manage & organize the rack cables of 10G system in one step. The 24 fibers FHD LC adapter panel is so affordable. Every single connector needs less than USD $1. WOW. The quality of the products I received is very good, and the panel with plug-style lock is easy to install . Of course, the size of the panel and the enclosure are also very suitable, there is no need to worry about the mismatch. Perfect shopping experience ! I bought a lot of products in FS, the products are complete, and the models are very abundant. 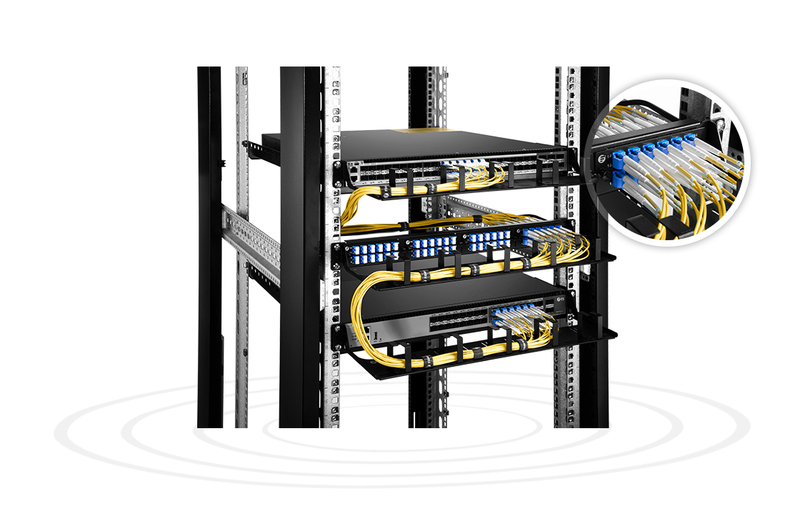 Do you have a 6 LC Duplex12 Fiber? When I inserted the fibers, I found that some connectors would not be used, so this dust plug helped me to protect them from damage and dust. I purchased 4pcs adapter panels, the assembly is simple, the installation is also very fast, and equipped videos in the website to guide the installation. It is very convenient.